I’m so excited to share this resource. 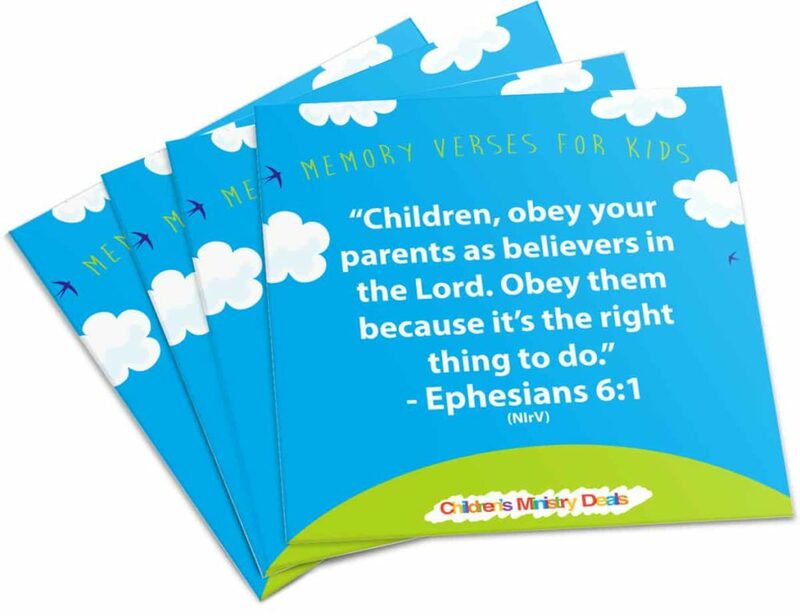 Our friends at Children’s Ministry Deals were inspired by our 52 Bible Memory Verse list and turned them into printable graphic cards. 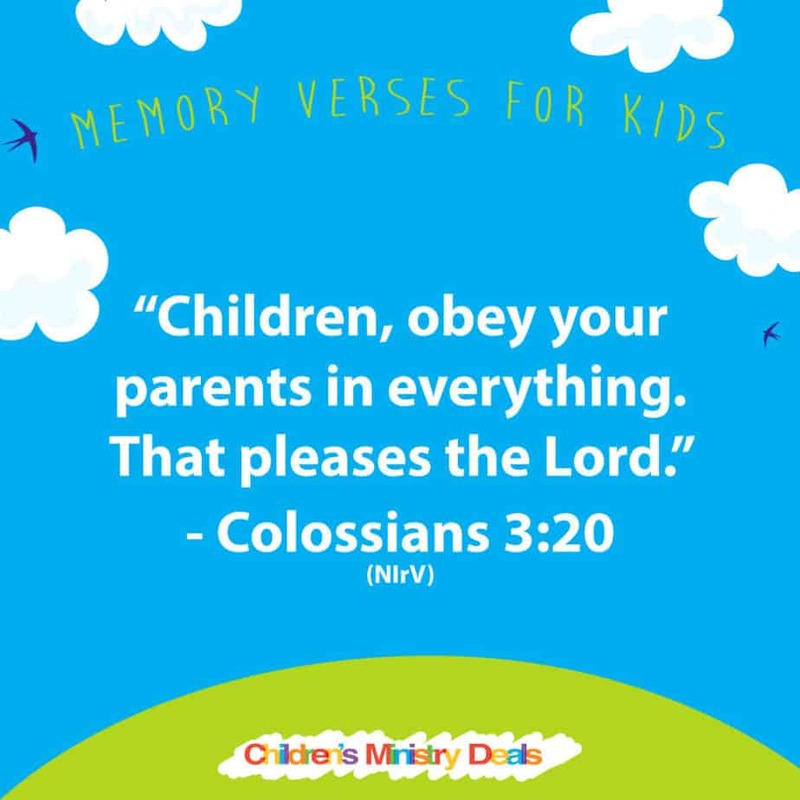 You need to check out these free memory verses for kids graphics. I can tell this took a lot of work and the results are amazing. These are short and easy Bible verses to get kids hiding God’s Word in their heart with minimal hassle. To download the high resolution version, use the links above and click ADD TO CART. Next you can CONTINUE TO PAYMENT method, but you won’t have to enter anything because it’s a free online poster and 100% free to download. It will take a few minutes, but look for the email with your download file. Building from our list, they used a standard NIrV format (our original edition was shortened ESV) and turned them into square graphics that are perfect to share on social media, use on PowerPoint, or print small cards for the kids. When we initially asked the people in our Children’s Pastors Only group about if we should make these, the response was an overwhelming yes! Scripture memory is a central value in almost every kids ministry. From Sunday School to Preteens, to toddlers — young people need be saturated with God’s Word. These graphics will make that easy. Drop them into a PowerPoint for weekly memory time, or simply print them out and display them throughout your ministry. If you’re on Instagram & Facebook, you have full permission to post them too. We’d love to hear your feedback on these printable Bible verse cards. Just drop us a comment below. Tony Kummer (Editor) reviewed & updated this page on : September 13, 2016 at 9:54 am. All our content is peer reviewed by our readers, simply leave a comment on any post suggest an update.